If you’ve never used Toppik Hair Building Fibers before, read on to learn the advantages of using our product over other look-alike or imitation products, how the Hair Fibers actually bond to your natural hair, and even some additional benefits that may surprise you! Toppik Hair Building Fibers are made from natural, colored keratin fibers, which have a static charge that binds Hair Building Fibers to your hair. These keratin fibers are made from natural keratin of the highest grade; essentially the same type of protein as your own hair. The quality of the keratin fibers we use is the reason Toppik Hair Building Fibers blend naturally and undetectably into your own hair. 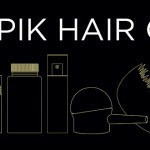 How Are Toppik Hair Fibers Different From Other Hair Fibers? Not all hair fibers are created equal. Toppik Hair Building Fibers are derived from a natural wool source, allowing us to use premium keratin that is nearly identical to human hair. Other brands use lower-grade sources to obtain their keratin fibers, such as fish bones or animal nails and hooves, which end up resulting in a different texture and appearance than Toppik Hair Building Fibers. Using natural keratin is also what sets us apart from our competitors. The innate static charge from the natural keratin is what binds and holds the Hair Building Fibers to your hair. Other brands use cotton, plant-based materials, and rayon, but since there is no innate static charge, the hair fibers do not interact with the hair in the same way. This is why other brands’ hair fibers tend to clump, move around, or fall off instead of clinging to hair. This innovative technology allows Hair Building Fibers to stay firmly in place, even through wind, rain, and perspiration. Top beauty editors, stylists and celebrities use and love Toppik Hair Building Fibers for this reason too! Visit our Editors & Stylists Love Toppik board on Pinterest to see what others are saying about Toppik Hair Building Fibers. How Do The Toppik Hair Building Fibers Work? Below is a visual representation of what the keratin fibers will do once they have been added to your hair. As you can see, the Hair Building Fibers intertwine with your existing hair for a completely natural look. No one will be able to tell this isn’t your real hair! Toppik Hair Building Fibers are perfect for anyone who wants a cosmetic solution for fine, thin or thinning hair. They work with any hair color and type. 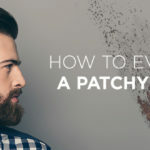 Whether you have an uneven hairline, patchy spots, scalp show through, or just thinning hair, this product is sure to become your new secret weapon. If you’re having trouble deciding how to use Hair Building Fibers, this video is a great example of someone who doesn’t quite have thinning hair, but is still benefitting from using Toppik products. Since Toppik Hair Building Fibers stay firmly in place until you wash them out, they are also perfect for anyone who doesn’t have to rinse or style his or her hair every day.The flawless finish the Hair Building Fibers create is essential for anyone looking to achieve the look of a full head of hair. Still need help deciding if Toppik Hair Building Fibers are right for you? Use this Toppik Product Guide to determine which Toppik products can help you achieve your desired look. Over the years, we’ve heard from many of our loyal customers about the creative ways they use Toppik Hair Building Fibers to address other hair concerns and issues. For instance, did you know that Toppik Hair Building Fibers are a great way to prolong your hair color appointments? You can save money with your colorist by disguising your roots with the Hair Building Fibers as your hair grows out. 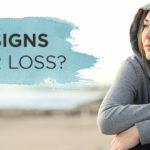 For anyone that has used hair extensions as a way to fake fuller hair, you know that hiding them can sometimes prove difficult. Using the patented Toppik Spray Applicator with your Hair Building Fibers will give you a precise and accurate application of the Hair Fibers, allowing you to blend any part of your hair extensions that are exposed. Another great trick is using Hair Building Fibers to help fill in eyebrows. What better way to make sure your eyebrows match your hair color? You can use the Spray Applicator to target exactly where you want the Hair Building Fibers to fill, and also to make sure you don’t get any of the Fibers on unwanted areas. 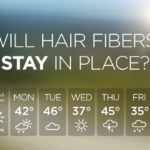 What happens to Hair Building Fibers in the rain? Hair Building Fibers will stay firmly in place even in wind, rain, and perspiration. How do I get Hair Building Fibers to stay in place? Hair Building Fibers will stay in place naturally because of the static charge between the Fibers and your hair. Pat or spray Hair Building Fibers into your hair and you are ready to go! For even longer-lasting results and added shine, use Toppik FiberHold Spray. Do Hair Building Fibers affect hair growth? 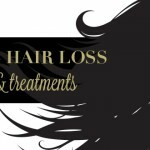 Hair Fibers do not encourage or discourage hair growth. The natural keratin fibers will not clog pores or affect scalp condition. Can I use other styling products and tools with the Hair Fibers? It is recommended that Hair Fibers be applied after the use of any styling tools such as hair dryers, flat irons, or curling irons. Styling products (other than hairspray) should be applied to the hair prior to applying Hair Fibers. 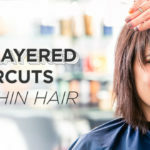 Applying gels, mousses, pastes, serums, and the like after applying Hair Fibers may cause shifting with the Hair Fibers and could expose the areas that were meant to be covered. Let styling products dry before applying Hair Building Fibers. 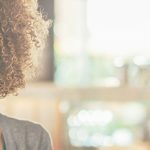 Do Hair Fibers work on all types of hair? Toppik Hair Building Fibers work with all hair colors and hair types, including ethnic hair. How do I match my hair color? Matching your hair color is easy with our hair color swatches! Simply select the hair color swatch that is closest to your hair color. You can also mix and match different shades together to get your own true color. How long will a bottle of Hair Fibers last? For additional answers to commonly asked questions, visit the Toppik FAQs page. Do you use Toppik Hair Building Fibers? Tell us your secret to using the product in the comments section below! Now that you’re an expert on Toppik Hair Building Fibers, next week we have a little holiday surprise from the Toppik team! I would like to purchase your product. Could you please give me the website/contact details of your official authorised distributor in Mumbai, India. Hi, i am looking to purchase directly from a store. Can u tell me if u have any retailer in Saudi Arabia or Munich, germany. I need it urgently for my wedding and do not gave time for the online shipping as it takes time. Is original toppik available at ” iran” ? Yes, the 27g bottle does fit the applicator. Hi Thiyagu – If you have to wear a helmet, we would recommend applying Toppik Hair Fibers to your hair after you take your helmet off. If that isn’t possible, you can always apply them before and then re-apply after (if necessary) you take your helmet off. We hope this helps! Hi Loretta – The largest Toppik Hair Fibers bottle is available in Giant size, and is 55g. Here is the Hair Fibers URL for your convenience: http://www.toppik.com/shop/hair-fiber. Hi, The product is very impressive and planning to buy it. Just have couple of doubts..
1. I ride bike everyday, will it be problem if i apply this and wear helmet ? 2. I also go to gym almost everyday, do i need to take any precaution ? 3.Is it necessary to use Toppik FiberHold Spray ? How strong and long enough it would be without using the hold spray ? 4. considering I wash my hair twice a week, how long will a 55g bottle would last ? It would be highly helpful if you answer my questions as it will give me a clarity. Hi Abhilash – We’re happy to hear you are interested in purchasing Toppik products! Here are the answers to your questions: 1. We would suggest applying the Hair Fibers after you take off your helmet. That way you won’t need to reapply any Hair Fibers after having the helmet on your head. 2. Toppik Hair Fibers resist sweat, but if you do a huge workout every day and sweat a lot, the Hair Fibers may run a little bit. We would suggest testing out the Hair Fibers before you go to the gym with them in your hair. 3. It is not necessary to use Toppik FiberHold Spray, but it does help the Fibers adhere to your hair longer. Especially if you are going to the gym with the Hair Fibers in your hair, it would be better to use the FiberHold Spray after applying. 4. A 55g bottle usually lasts around 120 days, but if you are applying the Hair Fibers less often because you don’t wash your hair as frequently, the Hair Fibers could last longer than that. 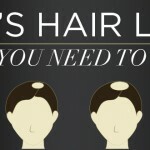 It depends on the frequency of use and the area of hair you are trying to cover. We hope this helps answer your questions! I am in Canada but want to buy it from Toppicks in Scarborough Ontario. The stores I have gone to have told me Auburn is not sold in Canada so I would like to get it from the Canadian company here. Hi Loretta – You can buy Toppik Hair Building Fibers in Auburn from Trade Secerets in Canada: http://www.tradesecrets.ca/. Please let us know if we can help with anything else! How longer the effect stays? I mean if I bought giant size product…will it lasts for 8 to 9 months if i wash my hairs twice or thrice a week?? Hi Asad – Toppik Hair Building Fibers will stay in your hair until you wash your hair with shampoo. You may need to re-apply as necessary if you are sleeping with the product in your hair. The Giant size of Toppik Hair Building Fibers is meant to last about 120 days, (4 months) depending on how often you use the product. Since you wouldn’t use it as often, it may last you 5 or even 6 months. Please let us know if we can help answer anything else for you! Hi I live in Kuwait where I can buy it here ? Hi Aram – We have an authorized Toppik distributor in Saudi Arabia that is the closest to Kuwait. Here is their website: http://www.panmedsa.com. Please let us know if we can help with anything else! How about in Switzerland? Where can I order this? Hi Glenn – Please order from our authorized distributor in Germany: http://www.heiner-versand.de/. Thank you! plz tell me how can i get this in pakistan?? Hi Kashir! Our distributor in Pakistan is Apex Services. You can order Toppik products from them; this is their website: http://www.apexpakistan.com. Please let me know if you need anything else! Hi Sudhakar.k! You can buy Toppik Hair Building Fibers at http://www.toppik.com. If you are living in Kuwait, we recommend buying from our local distributor there – Spa & More: http://www.spaandmore.net/. Please let me know if you have anymore questions! Hi Faiza! Yes, our product is available online at http://www.toppik.com/. Please let me know if you need anything else!